Koror/Munich, September 18, 2014 – Sam’s Tours Palau announced the launch of new land based tours in the protected UNESCO natural heritage site of the Rock Islands. Ulong Island was inhabited already more than 3,200 years ago by seafaring people known as Austronesians. They abandoned the island 500 years ago and left behind a legacy of defensive walls, limestone terraces, and introduced plants. Today, this protected UNESCO site is full of tools, pottery, and artifacts leaving clues of their ancient lifestyle. 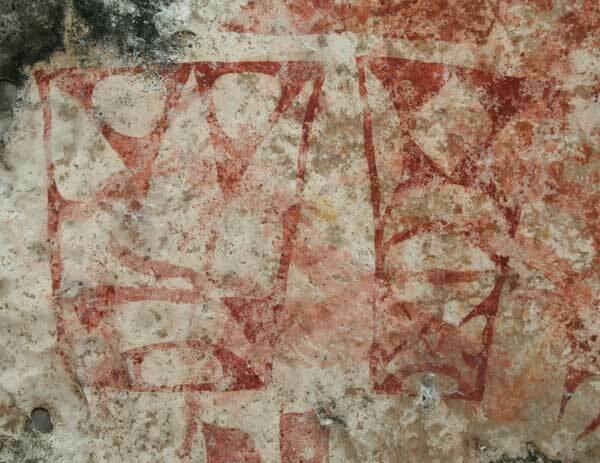 Equally interesting are the artistic pictographs they left behind. The next inhabitants came from the nearby island of Yap, searching stones for their settlements. The Yapese shipped away crystal calcite they found here after they hammered the blocks into discs with a hole to carry them on sticks between two outrigger canoes. 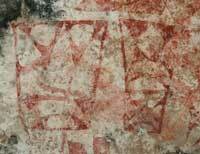 On Ulong Island, one can still see the world’s largest currency at one of the sites. Bird lovers will enjoy the new German Lighthouse Bird Watching Tour. The Wood-Swallow Bay of Ngeruktabel Island is a sanctuary for a variety of endemic birds, such as the multi-colored Palauan Fruit Dove. Next on the list is a gentle hike through forest and time. The Japanese transformed the steep slopes of the island into a service road with defensive positions in World War II and old cannons are silent witnesses of these days. The old Japanese headquarter at the hilltop, now overtaken by strangling fig trees is now home to White Tailed tropic birds and the spectacular Rusty-Capped Kingfisher. The new tours are full-day excursions and include a lunch and refreshments. 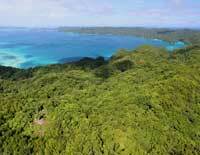 They can be booked through all tour operators partnering with Sam’s Tours Palau or at the dive center directly.